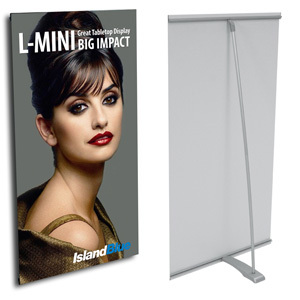 Portable Display Systems are all about getting information of products or services you offer directly into the hands of prospective or existing customers and vendors. 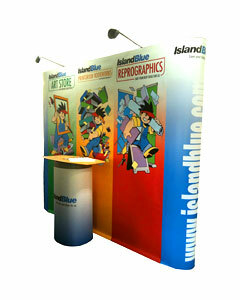 Island Blue offers a variety of display units to meet your informational or presentation needs. 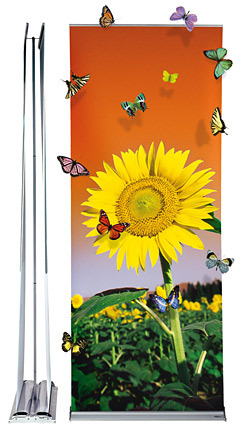 Besides trade shows, a number of our banner stands can be used in boardrooms, show suites or entry lobbies as a promotional tool. 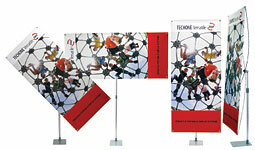 All our display units are both durable yet lightweight, easy to transport and quick to set up and take down. 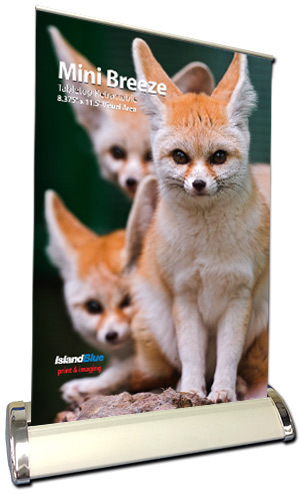 Island Blue Print Co. Ltd is pleased to offer a wide range of banner stands and portable display system packages on our website, including replacement graphics for those systems. 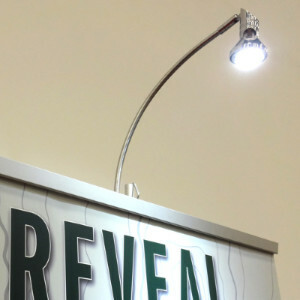 We also offer printing and installation of replacement graphics to fit most brand name displays that we do not carry ourselves. If you would like to inquire about this service, please contact our Customer Service Department at 250-385-9786 x 3. Please note in these cases that Island Blue Print Co. Ltd. cannot be held responsible for any damage that may occur to customer supplied hardware during installation or to printed graphics not original to Island Blue. We further reserve the right to refuse installation into customer supplied hardware upon inspection at our location.